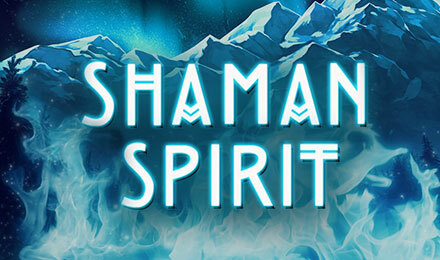 Featuring multipliers, free spins and gorgeous symbols, Shaman Spirit slots will take you onto an adventure of a lifetime! So, hit the reels of this game now. Eyecon strikes back with Shaman Spirit slots, which is the sequel to the popular slot, Shaman’s Dream. The newly slot game will take you to visit mesmerising landscapes which was once the abode of red Indians. Made with 5 reels and 25 paylines, this slot game is all about the spirit animals and prairies. As you play this game, you better keep track of the moon! You have to capture the spirit animals before the moon is up! The female spirit will be your lucky charm as it doubles the wins. And, the Warrior Wolf symbols will guide you to the free spins round. So, all set for an adventure?